PITTSBURGH, PA, February 13, 2018–Luminari, a Pittsburgh-based, nonprofit organization, is pleased to announce the winners of its seventh annual Luminari Awards – the Luminari Thought Leadership Award and the Luminari ESL (English as a Second Language) Award. Both awards are essay-based competitions, focused on students’ perspectives of diplomacy. While the Leadership Award application is available directly to students in schools throughout our region, the ESL Award is introduced to students by teachers of the ESL Program of the Allegheny Intermediate Unit. 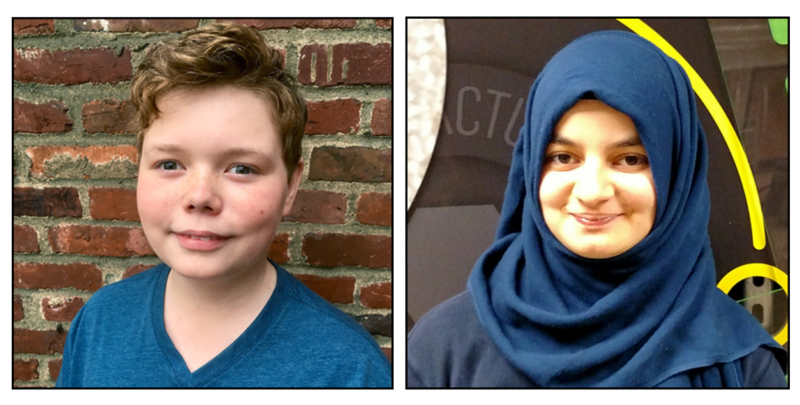 The 2018 Luminari Award scholars are Owen Chaffin, a 7th grade home-schooled student in the Bethel Park School District and Fakhar Almlook Munaf Mohammed, a 9th grade ESL student at Carlynton High School in Carnegie. Each of these student winners will receive a merit-based scholarship for an all-expense-paid admission to Luminari’s I Want to be an Ambassador! camp. The scholarship has a value of over $1,200. “Both of these amazing young people wrote essays that reflect Luminari’s commitment to bringing together a diverse spectrum of perspectives that come from unique life experiences,” said Hilda Pang Fu, Founder and President of Luminari.